The Tricastin Nuclear Power Plant is a collection of sites run by Areva and EDF located in 4 different communes Saint-Paul-Trois-Châteaux and Pierrelatte in Drôme, Bollène and Lapalud inVaucluse, and four departments (Drome (26), Vaucluse (84), Gard (30) and Ardeche (07)) on right bank of the Channel of Donzère-Mondragon (diversion canal of the Rhone River) between Valence (70 km upstream) and Avignon (65 km downstream). 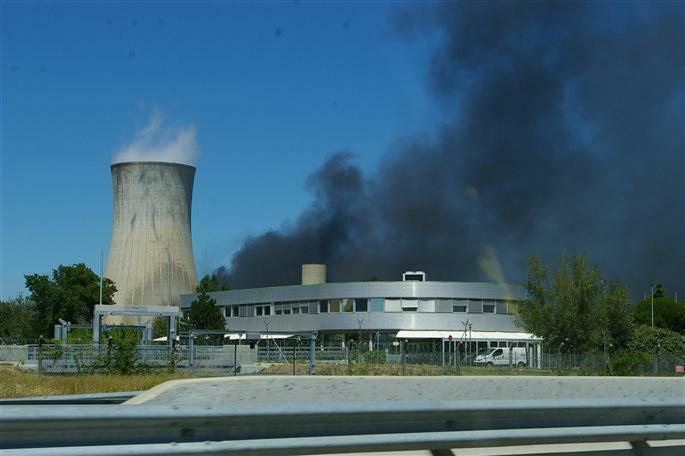 On July 3rd, in the southern French nuclear plant Tricastin it came to French media reports of an explosion. The nuclear power plant Tricastin with four pressurized water reactors of 915 megawatts each is in operation since 1981.